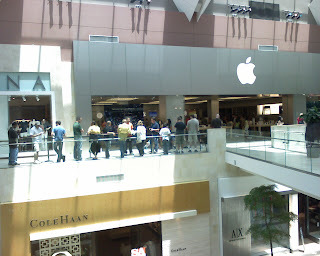 The Apple Store in the Topanga Mall has a line for the iPhone on July 18! How long will this madness continue? Apple might run out soon.